A REPRESENTATIVE of Cebu’s bus and minibus sector is asking the Land Transportation Franchising and Regulatory Board (LTFRB) to update its database of public utility vehicles (PUVs) operating on the streets. Julito Flores, chairman of the Cebu Provincial Bus and Mini Bus Operators Transport Cooperative, said he sought the LTFRB’s intervention on the matter after finding out that passenger buses and minibuses that were no longer operational or had been in operation for more than 15 years were still in the agency’s database. Flores said the LTFRB must update its database to determine how many units would be needed on a certain route. “Sometimes, the LTFRB’s database would state that there are 100 units running on this particular route. But actually, only 50 are running. If you visit the garages of some bus and minibus operators, there are a lot of their units that are no longer operational and are disabled,” Flores told Superbalita Cebu. LTFRB 7 Director Eduardo Montealto Jr. said they had no control over their database, as this was managed by their central office in Manila. 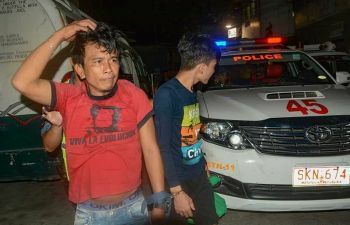 But he said they had made initiatives to determine how many buses and mini buses were still actively plying the streets and regularly provided a report to their central office in Manila. “We make reports on the number of public utility vehicles. We urge the transport sector not to worry as we are aware who are still active and those who are inactive. 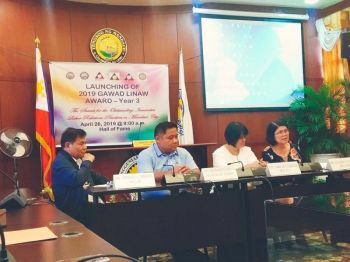 After a year or two, we often mark those units that are already abandoned and have instructed operators to no longer renew their franchises,” Montealto said. He said some operators of disabled units still renewed their franchises so they could buy new units. He said they had conducted random inspections of garages of bus and minibus companies, bus cooperatives and their operators. They could only manage random inspections because they lacked personnel, he added. Joseph Kong, operator of JRK South Transit, said he had 100 units when he started his business. But now, only 70 units are operating as the rest are 15 years old or older. He said some operators had been forced out of the business because they couldn’t afford to buy new units. In 2017, the Department of Transportation launched the Public Utility Vehicle Modernization Program.